Reference: Rob Evans, David Leigh and Kevin Maguire, 'Tobacco firm gained secret access to Blair', The Guardian, 27 October 2004. The Multinational Chairman's Group is a rather select and secretive group of chairpeople and CEOs of multinational corporations headquartered in the UK. This group has private meetings with the UK prime minister and other government members to make demands on behalf of big business. The Guardian newspapers has referred to it as "a shadowy group of privileged lobbyists". Reference: 'Information Commissioner rules on Cabinet office complaint', Information Commissioner's Office, 15 August 2007. When a Freedom of Information request was made for the minutes of the meetings between the group and Tony Blair the Information Commissioner's Office "upheld a decision by the Cabinet Office with withhold some information" relating to the meetings but "ruled that it was in the public interest to release background briefing materials in relation to the meetings to ‘increase public confidence that decisions are properly made’." Reference: Richard Cookson, Rob Evans and Tony Levene, 'Ultra-rich lobby group with influence at No 10', The Guardian, 12 February 2008.
and lobbied for less "burdensome" red tape so multinational corporations would continue basing themselves in Britain. Reference: Joel vd Reijden, 'Mulitnational Chairman's Group', Instituted for the Study of Globalization and Covert Politics, 2006. The British Chambers of Commerce (BCC) refer to itself as "powerful and influential". Being an umbrella group for Chambers of Commerce across the UK, it claims better geographical spread than any other business network and covers businesses of all sizes, more than 135,000 of them. Reference: 'About Chambers', The British Chambers of Commerce, 2004. At all levels, local, regional and national, the British Chambers of Commerce provide a powerful voice for business. Our regular surveys, consultations and reports provide grassroots business opinion and have strong influence on government ministers and officials, MPs, and other decision makers and opinion formers. This is reflected by our high profile in all kinds of media; each year we generate thousands of newspaper headlines, TV and radio interviews, often directly involving our member companies. The Institute of Directors (IoD) is a group of some 50,000 company directors established in 1906 and claiming to be "Europe's largest membership organisation for business leaders". 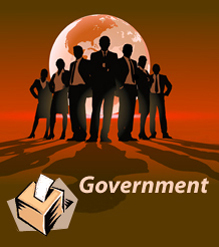 It aims to make sure members views are taken into account when government makes policy. Joel vd Reijden, 'Mulitnational Chairman's Group', Institute for the Study of Globalization and Covert Politics. 'Corporate Power in Britain', PowerBase.